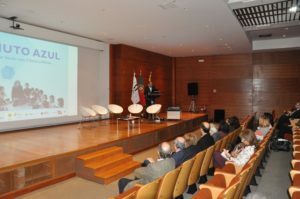 The Blue Minute Programme – Communicating Health with Science and Affection, promoted by the Faculty of Medicine of the University of Lisbon with the support of TSF and the Municipal Council of Viseu, ended on 17 February last with a debate held at the FMUL. The Blue Minute initiative – Healthy Food on the Radio, a public health communication project, started in October 2016. 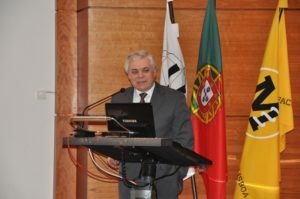 It was a partnership between the Health Communication Unit of the Institute of Preventive Medicine and Public Health of the Faculty of Medicine of Lisbon (author), the Municipal Council of Viseu (beneficiary) and TSF (producer), and had the High Patronage of His Excellency the President of the Republic. Promoting health and preventing obesity through key messages that make the audience aware of the importance of healthy eating habits were some of the objectives of this initiative, which was coordinated by Dr Isabel de Santiago, a researcher at the Institute of Preventive Medicine and Public Health of the Faculty of Medicine [IMP-FMUL] and produced by TSF. 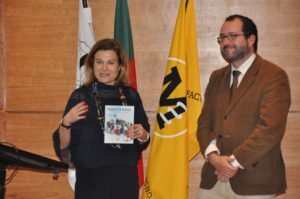 For three months, the basic schools of the municipality of Viseu were visited and the children were taught 13 basic food and food balance wheel rules, as well as physical activity. 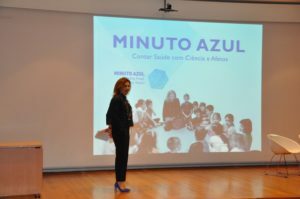 The Blue Minute reached 3,405 children and families and 225 teachers from five school groups in Viseu, in a total of about 124 classes. Children – food balance wheel ambassadors – participated in the programme, using TSF microphones every working day. They were previously trained and empowered by an IMP-FMUL team, alerting them to the consumption of healthy foods using key messages created for this purpose. Oily fruits: what are they and what are they for? Eat 3 servings of dairy products daily. Reduce the consumption of fats. Eat 5 servings of fruit and vegetables per day. Limit the consumption of sweets to celebration occasions. Move around for 60 minutes a day. 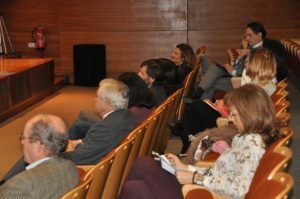 The closing session of the project that took place at the FMUL Grand Auditorium was attended by the Secretary of State for Education, Dr João Costa, the President of the Board of Directors of the Health System Central Administration, Dr Marta Temido, the Assistant Director of the National Programme for the Promotion of Healthy Eating of the DGS, Dr José Camolas, the Director of TSF, Dr Arsénio Reis, and the Mayor of Viseu, Dr Almeida Henriques. 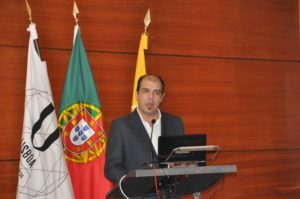 The FMUL was represented by Professor Fausto J. Pinto, Director of the Faculty, Professor José Pereira Miguel, Director of the IMP-FMUL, Professor Helena Fonseca, Paediatrician of the Department of Paediatrics of CHLN-HSM and Coordinator of the Paediatrics Obesity Clinic, Professor Leonor Bacelar Nicolau, lecturer of Health Economics, Preventive Medicine and Biostatistics, and Dr Isabel de Santiago, a lecturer at FMUL who, in addition to this project, has also developed another series of health communication projects in recent years. 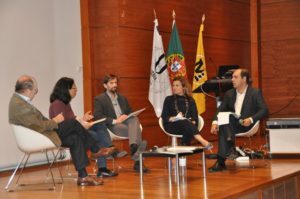 The results of this project were presented at the conference and this was followed by a debate moderated by the Director of TSF where the topic of childhood obesity was discussed. 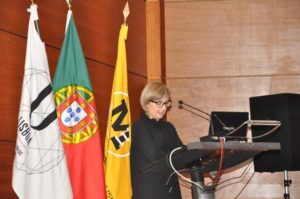 In Portugal, one in three children has this health problem and according to the European Commission, Portugal is among the countries in Europe with the largest number of children affected by this epidemic. Prevention and communication in public health can, in the future, reduce these figures. Teaching children about healthy eating and the importance of practicing physical exercise should be a concern. 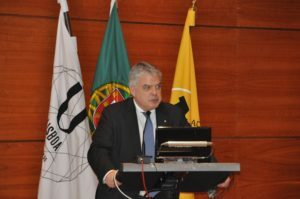 About the project, it was considered that these initiatives should be replicated in the country in order to avoid the aggravation of this problem.